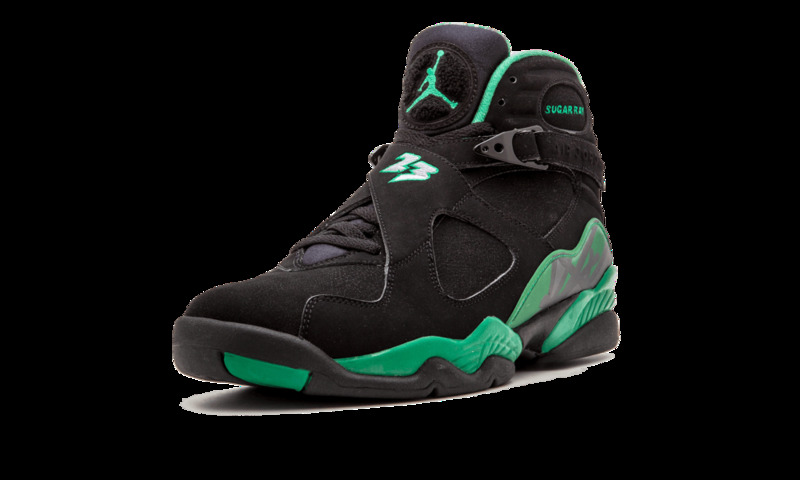 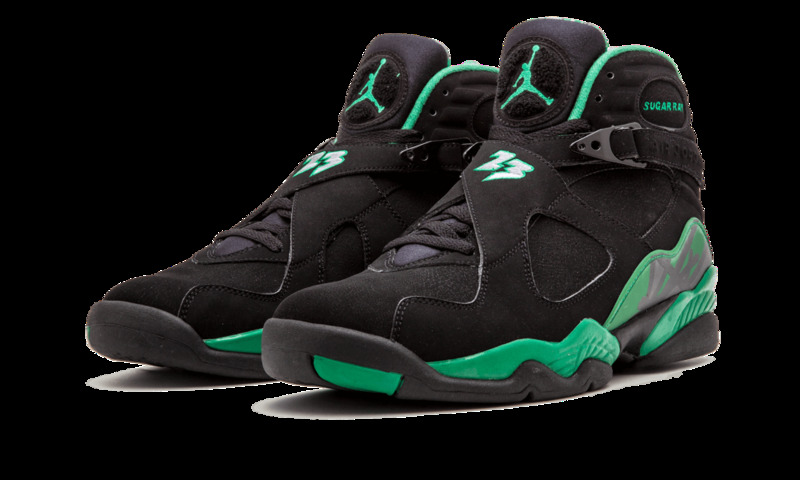 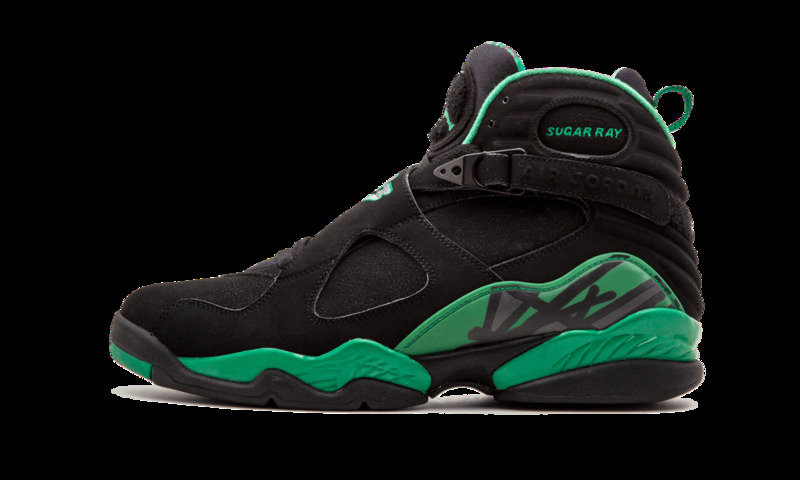 This 2008 drop of the Air Jordan 8 Retro features a player-exclusive colorway designed for Ray Allen. 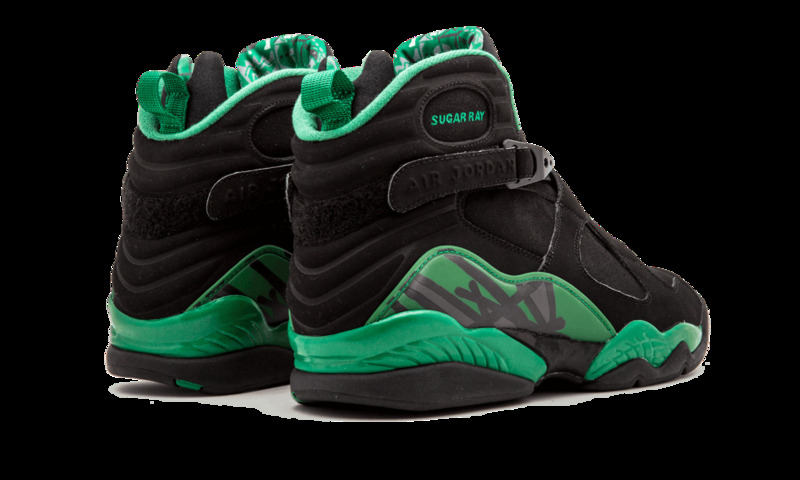 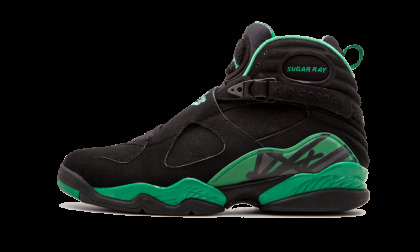 The Durabuck upper combines black and green to match the Boston Celtics jersey, and Allen's sweet, smooth playing style earned him the "Sugar Ray" branding stitched at the ankle. 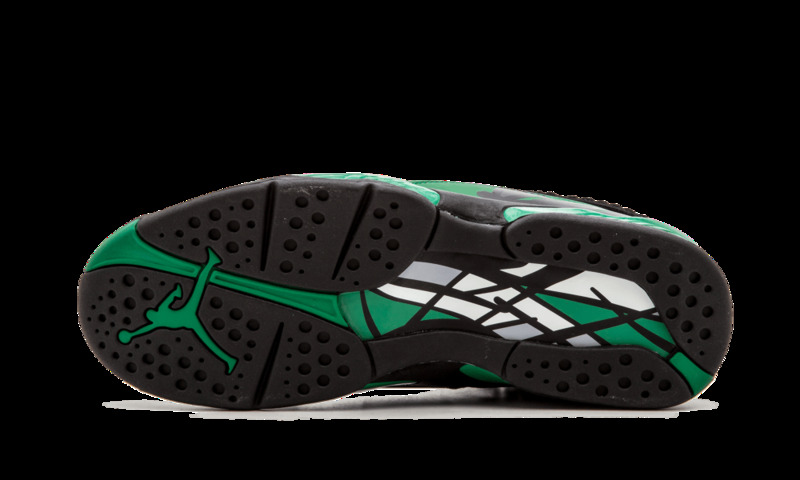 A green Jumpman logo on the tongue and white 23 stitched on the strap complete the look.